A memorial quote is a short saying or phrase related to a death, loss, or service which is thought provoking and inspiring. Quotes can be found anywhere between a few words to a few sentences consisting of 25-30 words. 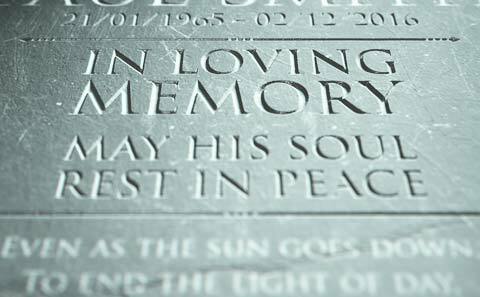 Sometimes memorial quotes are referred to as a memorial saying since often the words consists of short snippets or memorable quotations. The words can be made up describing a feeling of loss, remembrance or certain character about a loved one. These special memorial quotes have been used throughout the years in every kind of funeral or memorial service whether it is secular or religious. It can be read aloud, placed inside a printed memorial or etched on a headstone. It is ubiquitous in the death care industry and can be found included in virtually everything in the planning process. What Is Special About Memory Quotes? So what makes a memorial quote so special? The words contained within the quote are descriptive without being overly complicated. It is simple and straight to the point and can be understood by all ages. It can be the one saying that families memorize as they reflect upon a loved one’s memory. Because of the encouragement it can bring to a person, memory sayings can be found on printed materials or memorial products alike. They are often meaningful words that is special to the surviving family member or friend. This further helps reinforce the quote in the memory of a bereaved individual or family. Bringing comfort in grieving hearts is a priceless commodity when suffering from a loss. Often, healing is slow and a step-by-step process. Gathering little gems like this, along the way help in the healing process in the death of a spouse, family member or friend and can bring someone one step closer to overcoming grief. Throughout the years, memorial quotes have been written by professional or freelance writers, and even a family member. There is not a specific type of person or company that creates or writes a quote. Quotes are born out of a heartfelt feeling or emotion. The experience or skill level of a person is irrelevant as even a child can make up a quote. Sometimes quotes are generic and other times it is very specific to the deceased. Generic ones can be applied to anyone and used by everyone as it doesn’t define sometime unique about the individual. Nearly everyone has suffered or will suffer a loss in their lifetime. Typically that is the perfect circumstance that generates creative memorial wording which can result in a new memorial quote. If you are working with a funeral home, funeral directors are the best resource for obtaining popular quotes already written. They may already have a list for you to review and select from. Since they can be used in the printed materials, memorials, headstone, urn personalization or read aloud in the service, the funeral home will have a ready made selection. There are also online resources and hardcopy books that can be purchased specifically with a variety of different memory quotes. These are great resources to check out. Alternatively, you can create one of your own or enlist the help of other family members who were close to the deceased. You can also view our website for popular funeral quotes created in our elegant word art. They are predesigned and ready to insert into any document or used to be read aloud. If you do use an existing quote, be sure to give credit to the author. In some instances you will need to get permission, which is always advisable. A good example of a memorial quote is “Cherished. Adored. Loved.” This is simple and each word offers a deep meaning. The periods between each word give it significance and a time to pause after each word. This says so much in just three words. I wrote this quote for my mother. I needed something that wasn’t wordy but said a lot about her and how she touched others. We have since put this quote inside her funeral program, urn plate, and other miscellaneous memorial products. It is special to me because I think of her when I read it and it gives me cherished memories of our times together. A timeless quote said throughout the years is “Gone But Never Forgotten.” This is one of those common sayings that you might hear many people say at a funeral or memorial service. I am not certain who coined this phrase but I have even heard it said outside of a death. It has also been used when someone leaves a job or has moved away. The beauty of it is it can be said on more than just one type of occasion but it most certainly applies to a loss of a loved one. We offer many samples of funeral or memorial quotes for your reading pleasure in our library. We have used many of them and created beautiful word art so it can be placed in a printed memorial or other places in a decorative and artistic presentation. Quotes do not have to be complicated or complex, use common everyday words and it is sure to touch more people in a special and meaningful way.